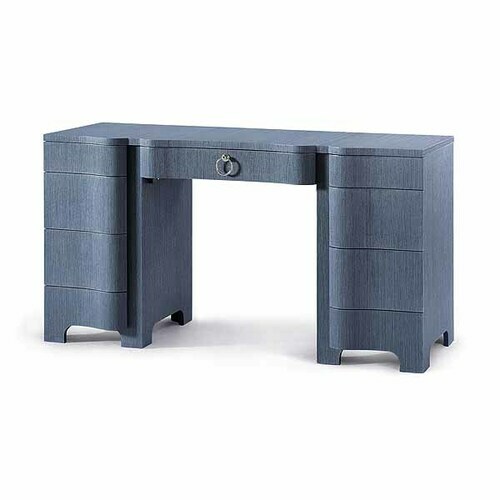 The Bouquet Desk - Navy Blue has voluptuous curves that are deco-inspired, appealing to those who are looking for a sophisticated room. 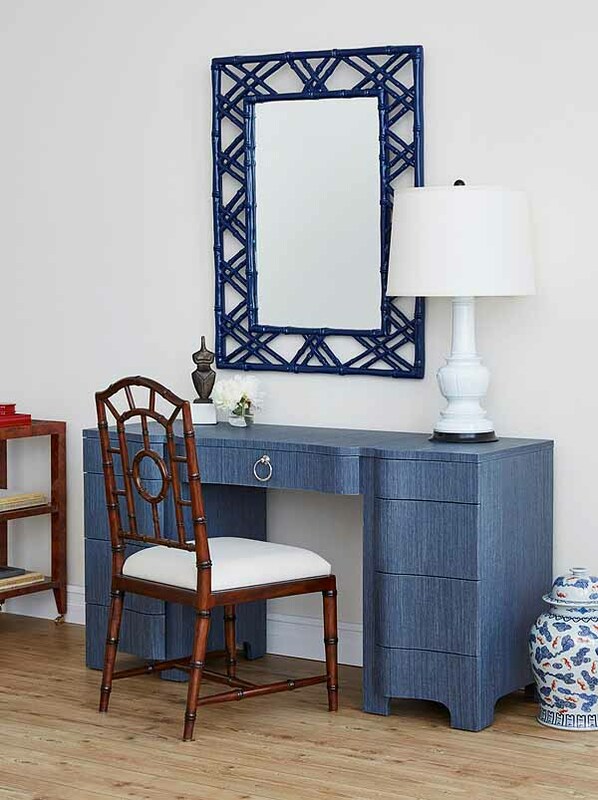 The serpentine lacquered grasscloth front adds a touch of femininity. The finish resembles the look and texture of a painted strie finish. 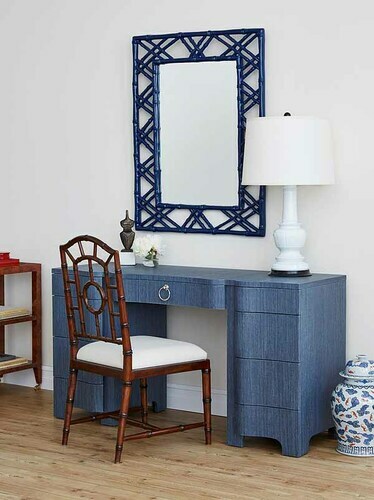 PRODUCT DETAILS: Lacquered Grasscloth, Stained Interior with Full Extension Glides, Nickel Finish Ring Pull. Ships via white glove delivery or furniture freight. Product eligible for return with 10% restocking fee. Please view our return policy for more information.